Custom Covers is defying the economic gloom by announcing new hires of 8 production staff, demonstrating the strength in local manufacturing despite the downturn. 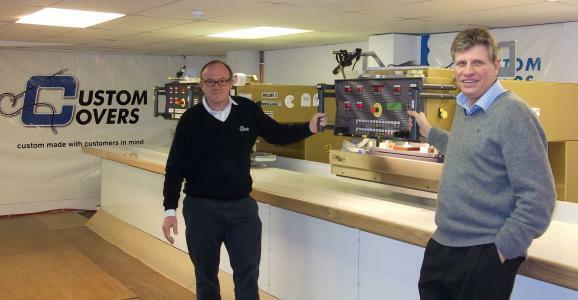 Southampton marquee manufacturer Custom Covers (1984) Ltd has bought a new high frequency welding machine and expanded marquee covers production by 20%, hiring 8 new production staff in the process as they head into the new marquee season and prepare for the Olympic year. "Its excellent news; we are taking on 8 new production staff to cope with the increased demand for marquees and marquee covers increasing our total headcount to 74 staff. There will be acres of Marquees and temporary shelters all over the country for the Olympics and the Marquee industry is starting to gear up for this event. The purchase of the new welder, installed and commissioned in February, highlights our confidence in the future and the health of the manufacturing sector."